This room was also likely where the pool's pumps and filters were located. 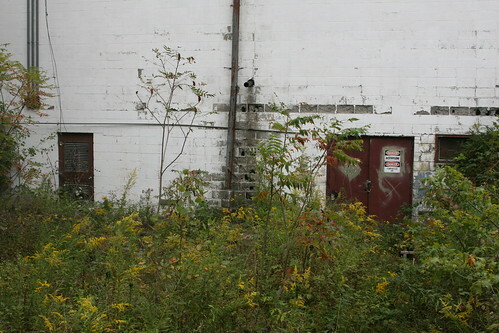 Approximately the "ground floor" of the cabana building. Notice the significant overgrowth even though the hotel has only been vacant for about 2 years.